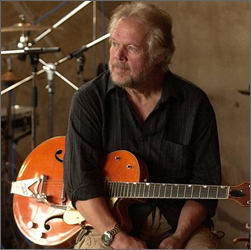 For Randy Bachman, collecting Gretsch guitars was simply a case of taking care of business. The Canadian rock and roll legend amassed one of the world’s largest collections of the instruments over the past 40 years, and last year sold them for â€œseveral million dollarsâ€ to the company’s museum in Savannah, Ga.
â€œIt’s like anything else in life that you collect, there comes a time when you want to sell them and move on,â€ says Mr. Bachman, most famous for his time in the bands Guess Who and Bachman Turner Overdrive. Mr. Bachman’s fortune was built on more than 300 of the vintage guitars, which he started collecting after his late-1950s Chet Atkins model was stolen from his hotel room in 1975. He scoured pawn shops hunting for the instrument, picking up others along the way. If not for an odd series of coincidences, the value of his collection would have been substantially less. The Gretsch factory burned to the ground in the early 1970s along with all of the original plans for the company’s guitars. Then in 1989, the Traveling Wilburys shot a video using the guitars, causing a spike in demand and effectively relaunching the brand (using Bachman’s collection as prototypes for new models). The average investor need not count on tragedy and aging super-groups to make a profit on guitars. Not sure what to buy? Vintage Guitar Magazine has an index of 42 classic models. Anyone who had held the guitars in the index â€“ such as a 1953 Blond Fender Telecaster or a 1954 Les Paul Jr. â€“ from the index’s inception in 1991 would see an average annual return of 27.7 per cent â€“ though the returns were down 7 per cent in 2008. Go really big: Tommy Byrne of London’s Anchorage Capital Partners is creating a $100-million fund that will invest in classic guitars. It still needs a lead investor â€“ about $30-million will do, he says. â€œThe amount of the lead investor’s investment isn’t as important as the quality of the investor,â€ he says.